About 10 years ago, our house's builder added a small room above the garage. Since they left in a rush, they left an unfinished wall outlet located 1' above the floor. From Google, these are thermostat wires! But, our other thermostats (one on each floor, including this one) use 4-6 wires, of all different colors, not two identical white wires. And, this thermostat would be 1' above the floor: not too ideal. Are these actually thermostat wires? Any reason why thermostat wires would be low to the ground? Any way to determine what exactly this thermostat would control? This floor already has its own thermostat. We had noticed this room has poor temperature control (always 20F higher or 20F lower than all other rooms); we just assumed it was poor insulation. Could these weird thermostat wires be the missing link? "CL2" means it is only usable for Class 2 circuits. Class 2 means low voltage and limited energy (the levels differ based on whether the power source is fused or inherently current limiting) but is generally considered to be 24V and 100VA maximum. It is MARKETED as "thermostat wire" simply because that is the biggest use, but as mentioned it could be ANYTHING that is considered "low voltage". 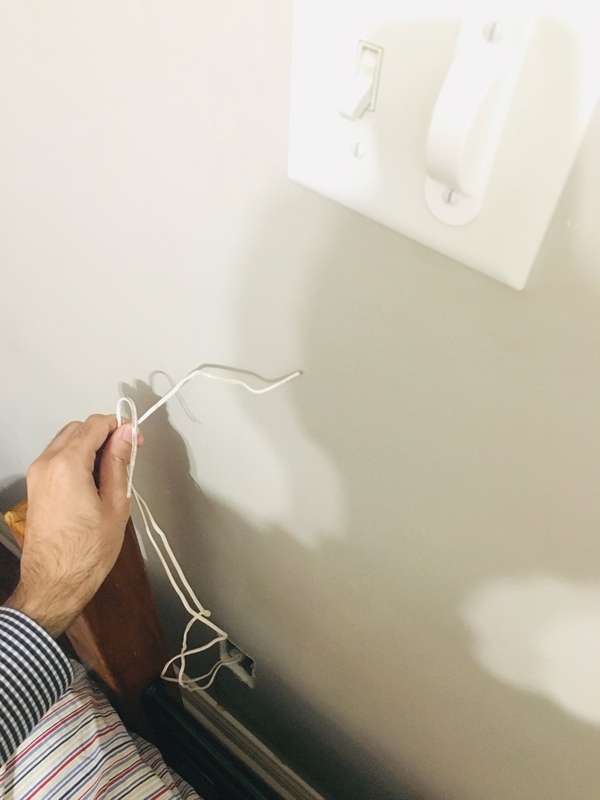 The wiring and it's source are considered non-incendiary, making it possible to route it in ways that would be otherwise unacceptable for normal wiring circuits. Down low and in a wall box / cut-out like that it could have been used for speakers, alarms, room sensors, etc. These may actually be cables containing multiple wires. I couldn't (easily) find an answer for this specific wire - plenty of people selling it but not with very clear descriptions. Strip the white covering off and see what the wires look like inside and post a picture. If there are multiple wires then the colors and/or type of wires may help narrow down the possibilities. The trick is finding the other end. I would check around any breaker panels, telephone panel (aka Network Interface), security system (if you have one), doorbells (if you have any), etc. Look anywhere that has a lot of wires to see if there is a pair of unused wires/cables that match this pair. Not the answer you're looking for? Browse other questions tagged wiring thermostat or ask your own question. Thermostat Where Do The Two Wires From Condenser Go?